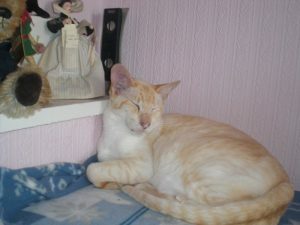 Make It Illegal to cause a Cats Deaths on the Road, In The UK! A petition for signatures about cat deaths on the roads, has just been started and is ongoing and I would appreciate your support. This petition will be going to the Scottish Governement, as others are petitioning for England and Wales. Please click on the link below to read more. If you would like your pet included on this page then send me your photo and details. Your help would be so much appreciated to stamp out hit and run drivers of cats and small furries. Tiko suffered a broken back and two broken legs and the driver never stopped. He was left to suffer until his owner found him. A reward is offered to anyone with information. He was paralysed and later put to sleep. Cats deaths, on the roads should be made accountable for. We are a nation of cat lovers but that cant be said for any motorist who hits an animal knowingly and just drives off. I wish they were made to see the pain and trauma they have left that animal in. Not to mention the grief felt by the family. Time to change the laws so that anyone who causes a cats death on the roads, has to report it to the Police. Yes we know the police are busy but we pay our taxes and some of us never bother them in a lifetime. I personally couldn’t hit any animal or bird without stopping to see firstly that it was dead. If that animal is still alive, it should be taken to the nearest vets. There is no excuse for causing a cat death anywhere and there are some evil sub human people out there.